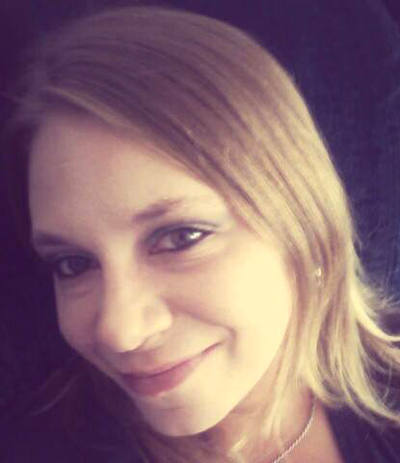 The grisly photos uploaded yesterday to 4chan show the body of murder victim Amber Lynn Schraw, a 30-year-old mother of four who was found dead in her Port Orchard, Washington home Tuesday afternoon. Several photos of Schraw’s naked body were posted to 4chan about 35 minutes before she was discovered. The three accompanying images show Schraw (who is also known as Amber Lynn Coplin) lying dead on a bed, with what appear to be strangulation marks on her neck. Two distinctive tattooos can be seen on the victim's arms in the 4chan photos. Those same tattoos can be seen on a photo of Schraw posted online in August. Schraw is seen above in a photo from her Facebook page. Police have issued a be on the lookout notice for Schraw’s 2001 Ford Focus, which apparently was taken by her killer. 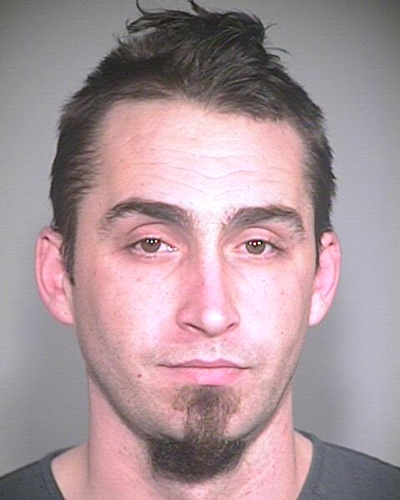 In a Facebook message today, the father of two of Schraw’s children identified the woman’s killer as David Kalac, a 33-year-old Port Orchard man whose rap sheet includes arrests for domestic violence, harassment, marijuana possession, assault, drunk driving, and destruction of property. Schraw’s sister also identified Kalac as her sibling’s killer in a Facebook post today. “He murdered my baby sister Amber yesterday and took her car...If you see him please call 911,” she wrote. Police this afternoon identified Kalac, seen at left, as a suspect in Schraw’s murder. He was spotted early this morning in Portland, Oregon, but escaped from cops following a high-speed chase. Officers ended their pursuit of Kalac, who was driving Schraw’s car, when the vehicle began “swerving into oncoming traffic,” investigators reported.